White House counsel Gregory B. Craig, who has spent the past several weeks drafting the orders, and discussed them with senior Democratic lawmakers in recent days, briefed House Republicans on Capitol Hill yesterday. Rep. C.W. Bill Young (R-Fla.) said Craig told members of Congress to expect "several" executive orders on Guantanamo Bay, including closure of the prison, but did not provide specific language. 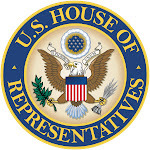 House Minority Leader John A. Boehner (R-Ohio) said in a statement that "there are important questions that must be answered before the terrorist detainee facility at Guantanamo Bay can be closed. The key question is where do you put these terrorists?" Sources familiar with the briefings said Obama also will sign two executive orders altering CIA detention and interrogation rules, limiting interrogation standards in all U.S. facilities worldwide to those outlined in the Army Field Manual, and prohibiting the agency from secretly holding terrorist detainees in third-country prisons.